This page contains Canon PRO-2000, PRO-4000 initial release info. and any other info we find. 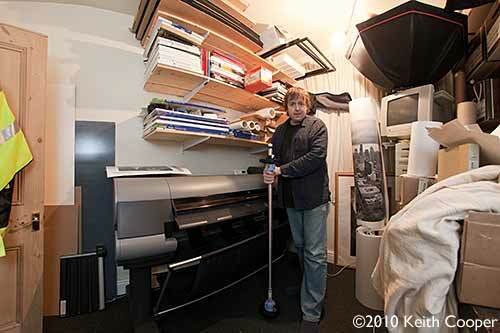 Note: Launch included PRO-6000S and PRO-4000S 60″ and 44″ printers with reduced ink set for production use. The replacements for Canon’s iPF6400/8400 and others. 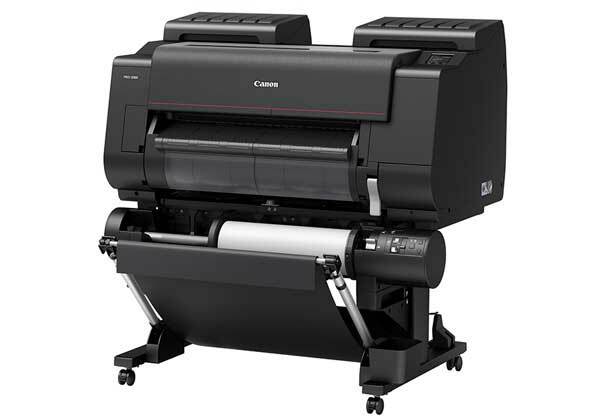 We have a wide range of reviews of Canon printers, both desktop and large format. WiFi functionality for easy connection and quick setup to wireless networks. The Print Studio Pro plug-in lets you print effortlessly from professional editing software such as Adobe Lightroom, Adobe Photoshop and Canon’s Digital Photo Professional. 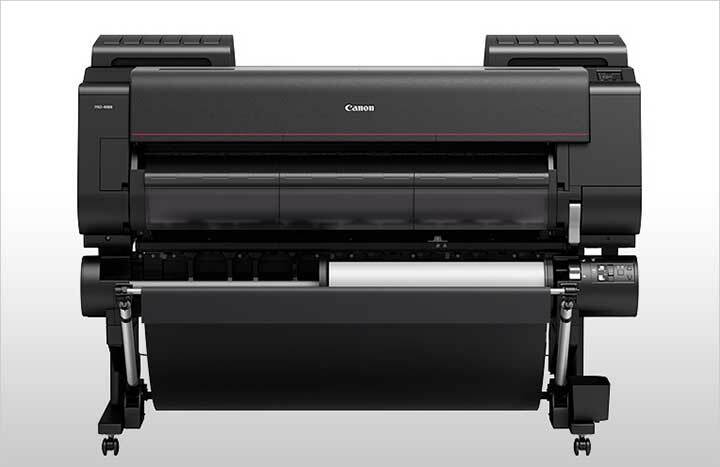 4th The new PRO range of large format printers are announced. As ever, we hope to have a comphrensive review as soon as possible. I note that the green ink of the previous iPF printers has gone and is replaced with a gloss coat, and that the dual print head design has become a new single PF-10 printhead. The imagePROGRAF PRO-2000 sports a fully integrated print head enabling even faster printing in 12-colours with exceptional print quality. A compact 1.28” wide head enables efficient, high-precision ink ejection without discrepancies. 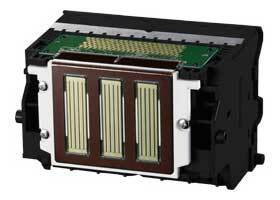 This new print head has a 3-chip configuration with four colours per chip in a single print head, and outputs 12-colour ink from a total of 18,432 nozzles. The new print head is wider than the current 1.07-inch wide print head, and enables even faster printing while still maintaining high print quality. LUCIA PRO pigment inks are newly developed for the imagePROGRAF PRO-2000, delivering prints with a wide colour gamut, excellent colour expression, superior dark area reproduction, low graininess and good gloss characteristics. Newly microencapsulated colour materials are used which increase the smoothness of the printed surface, thus reducing scattered light from the media surface, and enabling the inks to be spread even more densely on the media, which improves colour expression. The imagePROGRAF PRO-2000 printer uses transparent Chroma Optimiser ink to improve high quality print performance on gloss papers. The imagePROGRAF PRO-2000 features a re-designed processing engine: L-COA PRO. 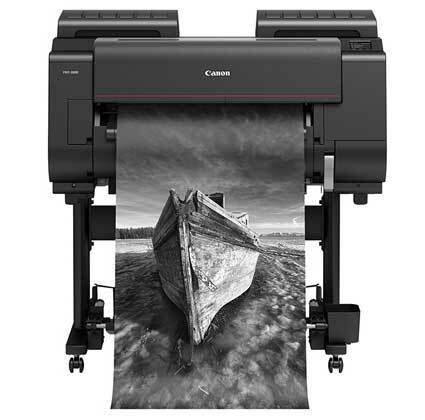 It combines the latest and most advanced Canon image-handling algorithms with a newly-developed application-specific integrated circuit (ASIC) for processing high volumes of high resolution images and data – delivering the very best print quality at high speed. Both 4000 and 6000 have the optional powered takeup unit. The new imagePROGRAF PRO-2000 and imagePROGRAF PRO-4000 are designed to bring stunning image quality to professional photographers and fine art applications, while the new imagePROGRAF PRO-4000S and imagePROGRAF PRO-6000S deliver fast and reliable printing to high-volume print service providers that require photo quality prints such as posters, banners and canvas. The 12-colour PRO-2000 and PRO-4000 enable the full clarity and texture of photographs taken with a Canon EOS camera to be perfectly reproduced. Thanks to Canon’s unique input-output technology and Crystal-fidelity feature, photos look as accurate printed as when they were captured. 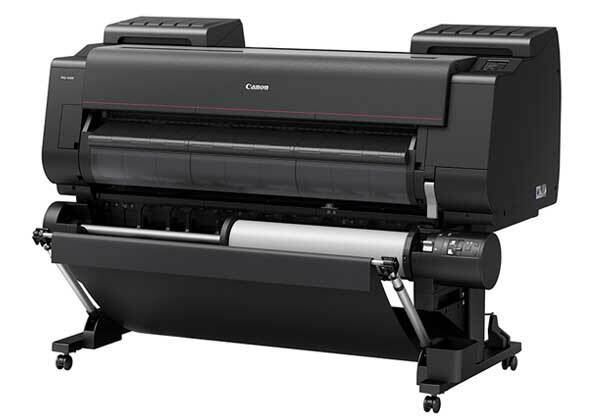 Available in two sizes (24” and 44”) the PRO-2000 and PRO-4000 feature an attractive black design with an accentuated red line, denoting the link with Canon EOS digital cameras. The new devices use newly developed LUCIA PRO pigment ink to meet the demands of the most critical photographers and graphic artists, as well as transparent Chroma Optimiser ink to improve print performance on gloss paper. The new imagePROGRAF PRO-2000 offers photographers even greater levels of detail and colour accuracy with a stylish EOS-led signature design. 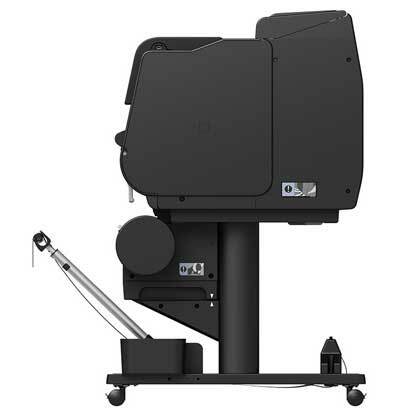 Also available in two sizes, (44” and 60”), the PRO-4000S and PRO-6000S boast an ergonomic compact design, which is ideal for time and space-pressed print operations in graphic arts, advertising and creative sectors. With a powerful L-COA PRO engine capable of processing large volumes of high-res images and data with ease, the new devices enable poster-quality printing at twice the speed of current imagePROGRAF 8 colour models. Full connectivity and Wi-Fi functionality ensures optimum productivity for busy environments. 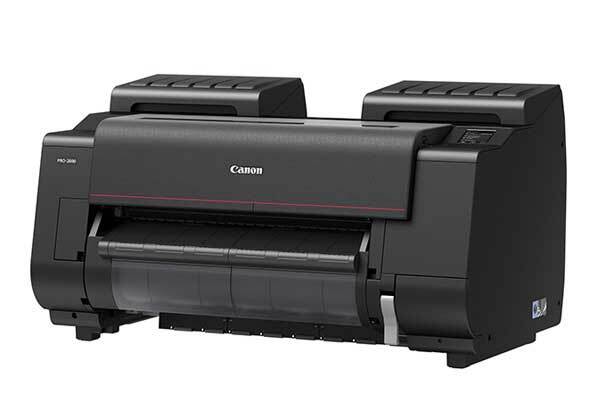 The new devices feature Canon’s unique dual roll technology to support continuous paper feeding and take-up of printed output, while direct printing from a USB memory stick enables fast and easy prints. The imagePROGRAF PRO series is further improved by the new precision 1.28” wide print head and high-capacity ink tanks for fast, uninterrupted printing. The new imagePROGRAF series will be available across Europe from the middle of 2016. To see the new imagePROGRAF PRO series in action, visit Canon at the FESPA Digital 2016 show at the RAI exhibition and conference centre in Amsterdam, the Netherlands, from 8-11 March, Stand F100-F120.